" Floristry at its Best!" Black Tulip Floral Design is a full service flower shop that proudly serves the Odessa area. Our Design Staff is up-to-date on all the latest trends. We take everyday flowers and make them extraordinary! Regardless of how big or small your floral needs, Black Tulip Floral Design provides excellent service every time. We are located in Odessa, Texas but we service anywhere in the area, also world wide. 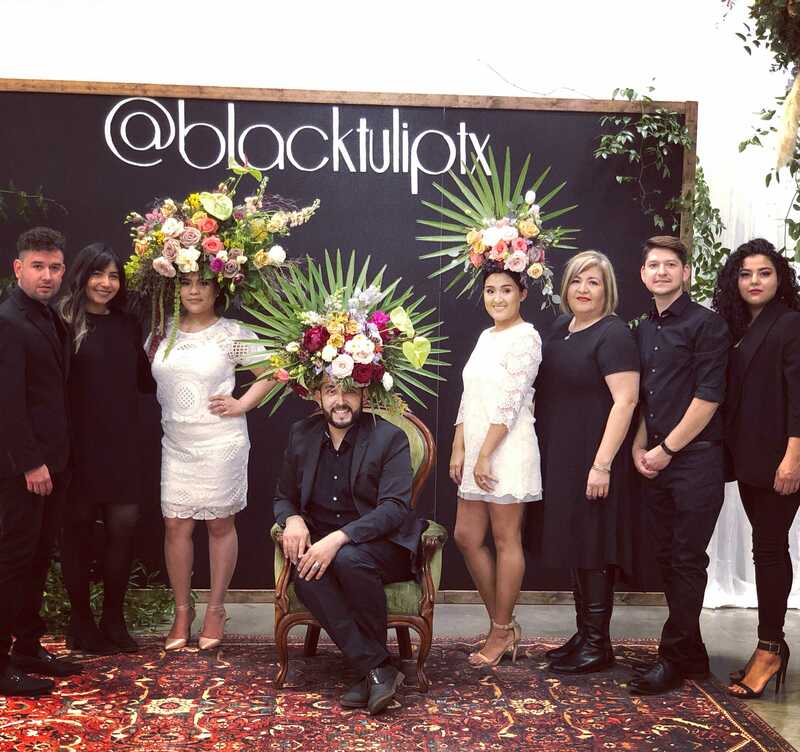 Black Tulip has everything you need for everyday florals, corporate events, weddings, parties & quinceaneras. WE want to be the the ones you think of when you think flowers! Please call us at 432.362.2343 for special assistance with your order selection. The tulip continues to grow, even when cut. The tulip always follows the light and will curve in the direction to find the light. And the meaning of the Tulip is TRUE LOVE. The meaning of the BLACK TULIP is POWER & STRENGTH. So, our reason, like the tulip, we may get cut down in life, but we will keep growing. We will always follow the light, meaning God & the truth and all is possible with the "POWER & STRENGTH" of "TRUE LOVE!" It all started as a dream and we thank you all for being a part of it. Our shop is open Monday through Friday from 8:00 am to 5:30 pm, Saturday from 10:00 am to 2:00 pm , after 2:00 pm by appointment only, and closed on Sundays. Christmas Day, New Year&apos;s Day, Valentine&apos;s Day, Easter, Administrative Professionals Day, Mother&apos;s Day & Thanksgiving. Thanksgiving Day, Christmas Day, New Year&apos;s Day, Easter, Mother&apos;s Day (Sunday), Memorial Day, Father&apos;s Day (Sunday), Independence Day and Labor Day. If your flowers are not received to your satisfaction, please call us at 432-362-2343. If for some reason the flowers that you ordered are not available for delivery we will notify you immediately. We can also issue a credit for flowers to be delivered at a later date.